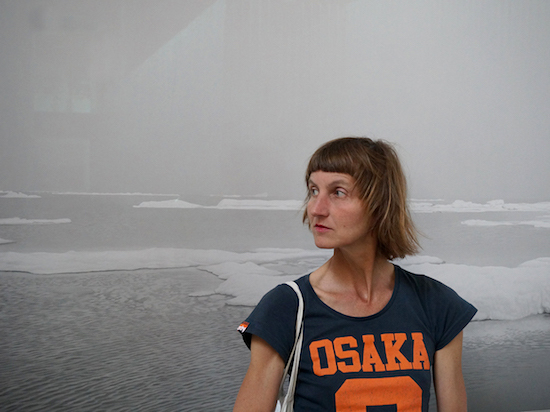 Verina Gfader is an artist and researcher, currently postdoc fellow on The Contemporary Condition research project, Aarhus University. After completing a PhD in Fine Arts at Central Saint Martins, London (2006) she conducted postdoctoral research at Tokyo University of the Arts (Geidai) to explore the structural coherence between non-commercial Japanese animation and geographical, institutional and social ideas. Verina is co-founder and co-director of the international animation network, Animate Assembly (with Esther Leslie, Edgar Schmitz, Anke Hennig) and creative director of EP, a book series across art, architecture and design, from Sternberg Press, Berlin. Her recent focus is on animation and concepts of vitality, social imaginary of ‘worlding’ and the agency of art, world picturing-world typing, post literacy, and text and alliance. In her practice she pursues models, drawing, text material and fictional institutions. At the core: Can today’s art fundamentally form a space for both magic and real rediscoveries? Projects include a performance work for the 11th Shanghai Biennale, ‘Why Not Ask Again?’ (2016–17) with a forthcoming book on worlding and cosmological quests; contributing to EP2, Design Fiction (Sternberg Press, 2016), and co-editing OrNamenTTokyYo (Art-Phil, Art Autonomy Network, 2016) (with Emiko Kato, F. Atsumi), and A Brief History of Curating New Media Art: Conversations with Curators and A Brief History of Working with New Media Art: Conversations with Artists (The Green Box, 2010) (with Sarah Cook, Beryl Graham, Axel Lapp). Following her book Adventure-Landing, A Compendium of Animation (Revolver, 2011) she has presented research at the Reischauer Institute, Harvard University (2014) and Princeton University (2015). With Gayatri Sinha/Critical Collective India she curated Video Art (09/2015) at Bhau Daji Lad Museum, Mumbai.